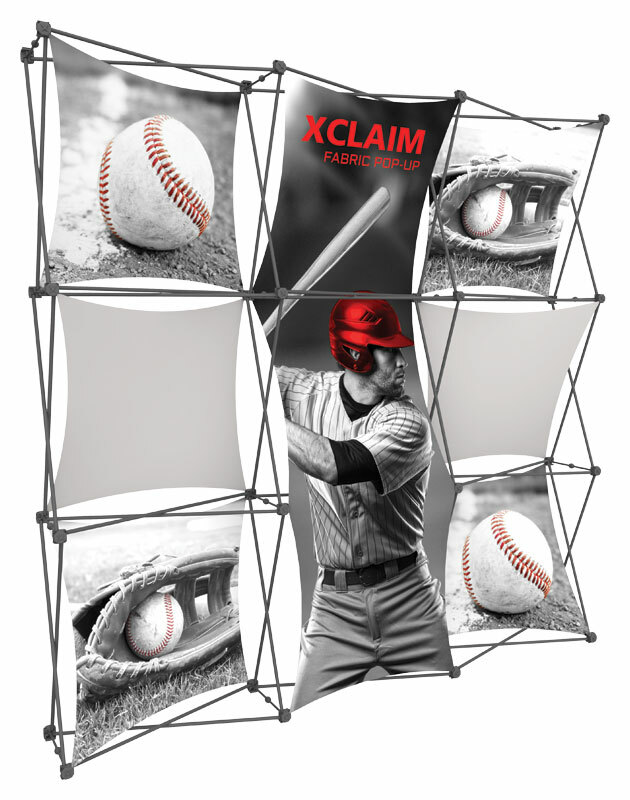 A 7½′ wide, full height, backwall display with 7 stretch fabric graphics, this is the Kit 05 design of the Xclaim™ 3×3 series. A soft carry bag is included. 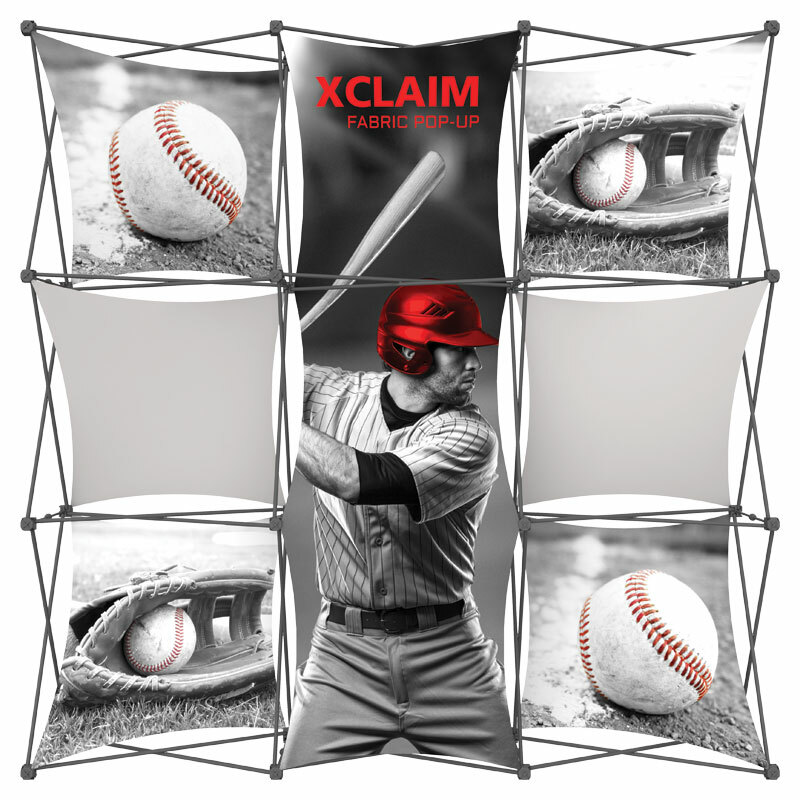 The Xclaim™ fabric popup system features super stretch push-fit fabric graphics that come pre-attached to the collapsible frame to create sleek, polished displays. 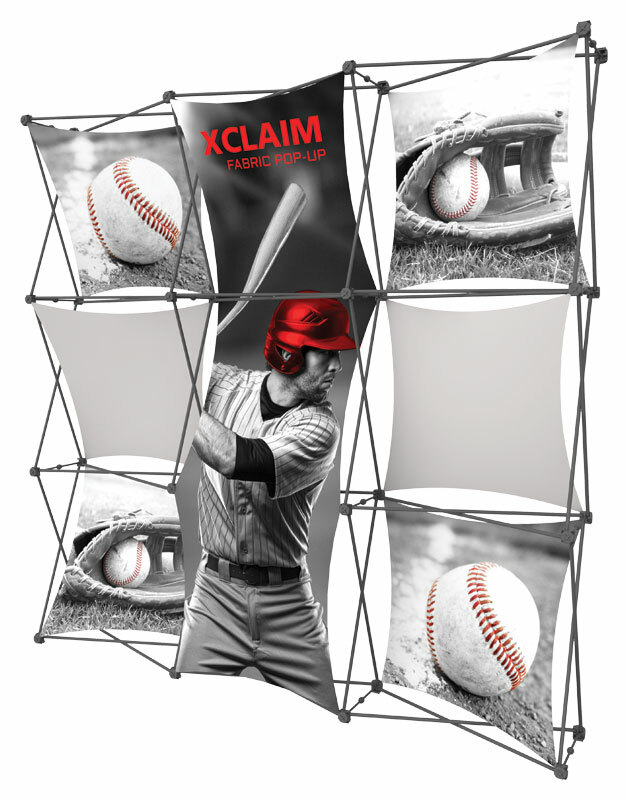 Using a lightweight magnetic collapsible frame, Xclaim™ displays require no tools for assembly, are portable and set up and pack down fast and easily. 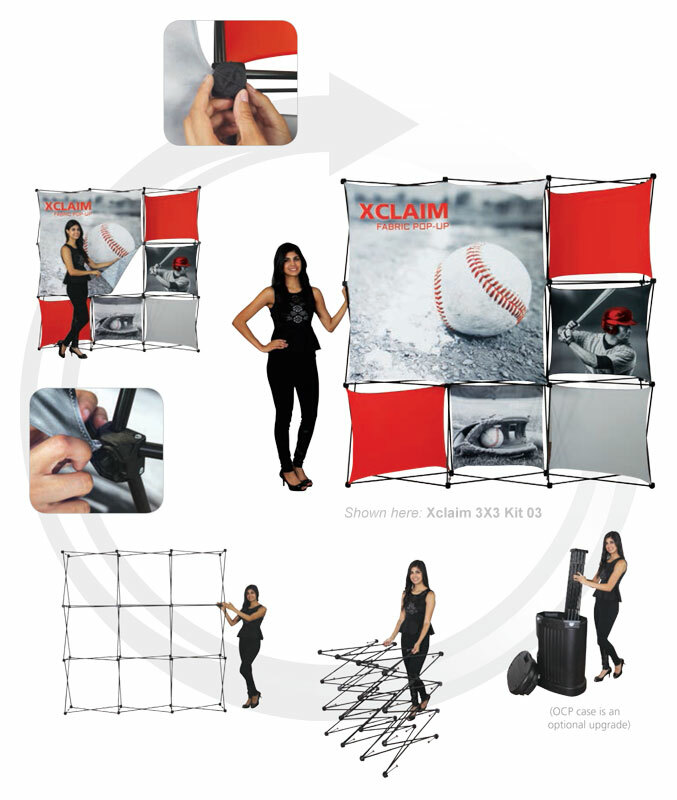 The stretch fabric graphics provided are G7 certified and printed on state-of-the-art equipment. G7 certification ensures the production of the highest quality, consistent and accurate color graphics. Learn more. 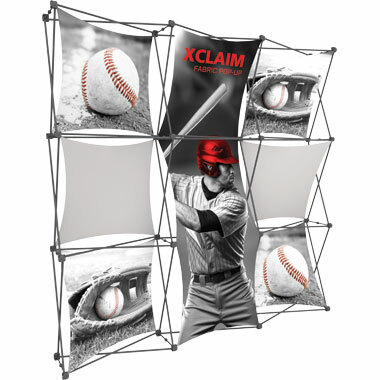 The flat shipping rate for this item is $43 USD for standard delivery within the continental United States. 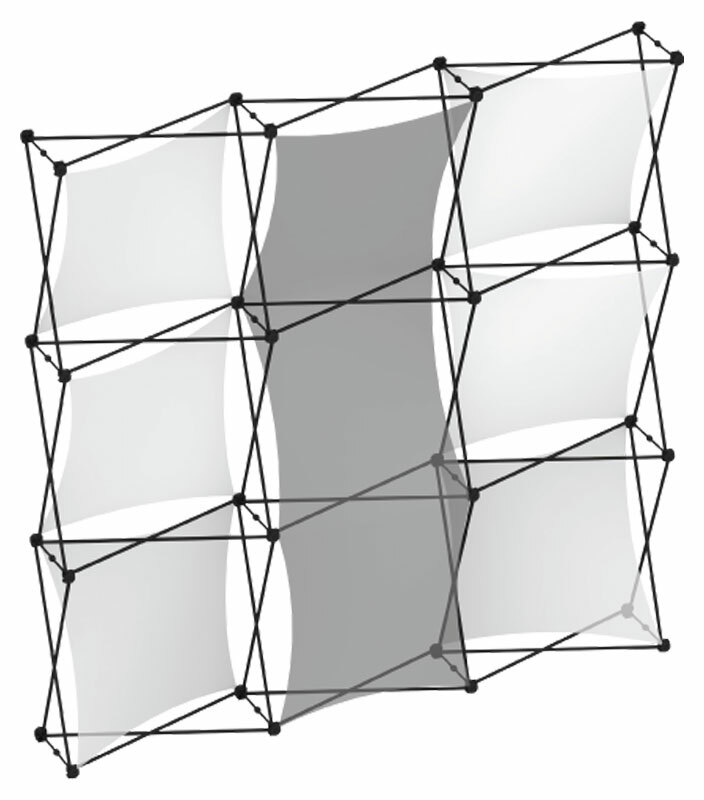 This item is produced in a ISO Standard 14001:2004 ‘Green Certified’ facility. Learn more.